Return her blessings for your health and long life with a gift that will bring good health to her too. Spa treatments will help her rejuvenate and she will not forget them for the rest of her life. This novel idea of a Rakshabandhan gift is bound to leave her grateful. The Ayurvedic spas are useful for relieving stress, detoxification, body rejuvenation. This Rakshabandhan, surprise your sister with a spa gift. Return her blessings for your health and long life with a gift that will bring good health to her too. Spa treatments will help her rejuvenate and she will not forget them for the rest of her life. This novel idea of a Rakshabandhan gift is bound to leave her grateful. There are a number of resorts in Kerala for spa treatment. The treatment in these spa centres involves Ayurvedic treatments and therapies such as Panchkarma, and Yoga. The spa treatments of Ayurveda are performed in their most ancient form in Kerala. The Ayurvedic spas are useful for relieving stress, detoxification, body rejuvenation and knowing about the holistic Ayurvedic way of life. Many spa resorts are located at picturesque serene locations which are enough to calm and rejuvenate apart from the Ayurveda treatments. Some of the resorts provide intensive Ayurveda treatments and have very good Ayurveda doctors in their roll. Most of these spa centres have Green Leaf certification from Kerala Government. A great gift idea would be holiday in Kerala tagged with the rejuvenation programmes offered by Ashrams and hotel spas. The massage therapists of Swedish massage are adept in releasing muscle tension, promoting relaxation and other health benefits. It is a great way to warm and work up the muscle tissues to resolve their adhesions. It is believed that muscles are in a sort of knot and one need to resolve it for relaxation. The massage is performed by trained and licensed experts and modified to suit you. The massage can be slow, gentle, vigorous and bracing or depending on the personal style of the massage therapist. You would surely enjoy the rejuvenating massage and end up being healthier and rejuvenated. It is type of massage which is based on treating your body by making it sweat. The person is made to sit on a central slab in the spa chamber. The temperature of the chamber is around 60 degree Celsius. The masseuse performs a lot of relaxation procedures on your body while you lay on the slab. Lot of herbal soaps are used to give deep relaxation and rejuvenation. When you pour cold water on your body after these techniques are over, the refreshing feeling is unbeatable. 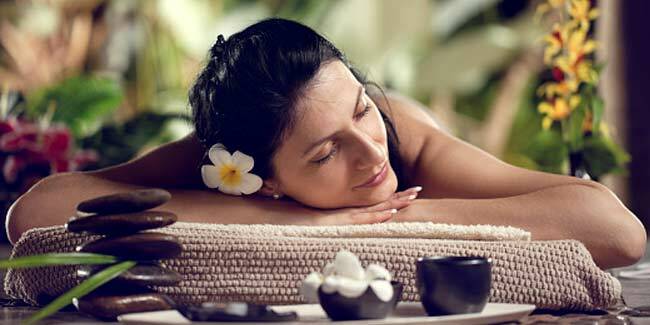 Thailand is the spa capital of the Asia-Pacific region. There is a unique quality in Thai massage treatments that are in tune with the cultural heritage of Thai people. The Thai spa treatments are age old and they have evolved with the changing requirements of blending with western practices. It involves a variety of healing techniques that include massaging, herbal applications, facial scrubs, body wraps, herbal steams, floral baths, tai chi, yoga, pilates, spa cuisine, physiotherapy, healthy eating and detoxification. Many of these treatments are based on the therapeutic properties of Thai herbs that help to rejuvenate and rebalance your mind, body and spirit. You can gift a package for Thai spa treatment in many places of the world as several centres have opened up worldwide. Discover the healing powers of yeast in your beer for a change. The vitamins contained in the yeasts of the beer clear your clogged skin pores, relax your muscles and give a new glow to your face. Not quite the glow after guzzling down two mugs!